Technische Universität München (TUM) is one of Europe’s top universities. It is committed to excellence in research and teaching, interdisciplinary education and the active promotion of promising young scientists. The university forges strong links with companies and scientific institutions across the world. 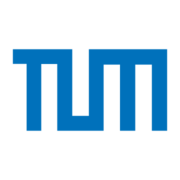 TUM was one of the first universities in Germany to be named a University of Excellence. Grundlagen der Unfallchirurgie via Coursera 3-4 hours a week , 6 weeks long 3-4 hours a week , 6 weeks long 15th Apr, 2019 No reviews yet. 20th Jun, 2014 No reviews yet.